Newburgh is one of the best destinations for motorcycle enthusiasts. 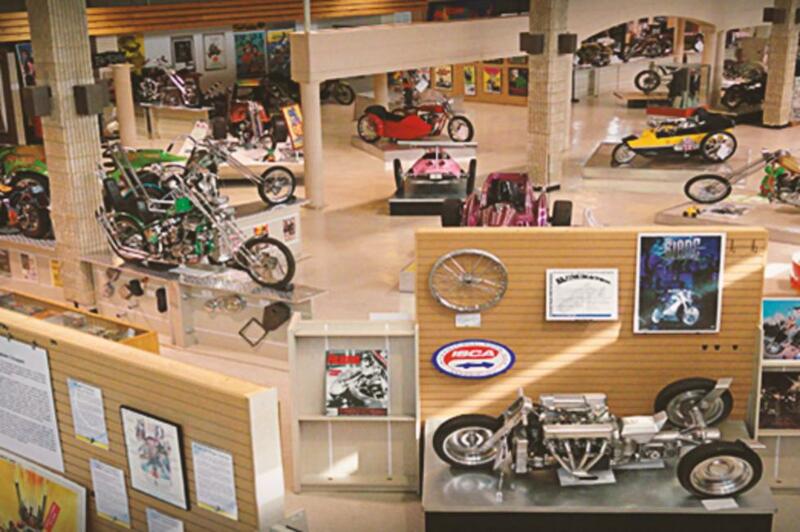 Besides being able to cruise along the scenic Route 9W from New York City to get there, easy riders can also get their gear fix at the Motorcyclepedia Museum and the Orange County Choppers headquarters. Speaking of headquarters, on the history side of things, the city served as HQ to the Continental Army during the American Revolution and offers many historical attractions and sites to help make up a unique winter weekend itinerary for motorcycle lovers and history buffs alike. 7 pm: Eat dinner at El Solar Café, recipient of TripAdvisor&apos;s Certificate of Excellence. It was also named the Best Fusion Restaurant by Hudson Valley Magazine for 2015. The menu features a unique combination of eclectic Latin and Mediterranean dishes. 9 am: Explore Hudson Valley recommends Caffe Macchiato for a delicious, organic, fresh, local (and all-day) breakfast and specialty coffees from their espresso bar. 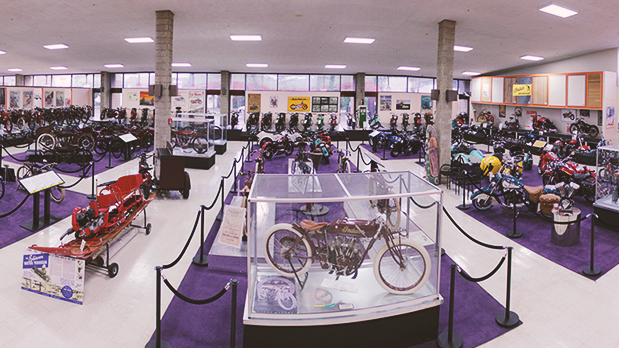 10 am: The Motorcyclepedia Museum offers 85,000 square feet filled with over 500 motorcycles built since 1897, including rare vintage bikes (more than 100 Indians comprising an almost complete timeline!). Other exhibits include Chopper City, featuring crazy custom bikes from the 1960s and 1970s, as well as police, military, and Harley Davidson galleries. It’s also home to two indoor "Wall of Death" Motordromes, upright wood-beamed cylinders in which a visiting daredevil motorcycle rider rides up the walls, gaining in speed, while the audience watches from the top several times a year. Plan to spend between 2 and 2 1/2 hours there. 1 pm: For a different kind of historical experience, head over to Washington’s Headquarters State Historic Site, which served as George Washington&apos;s headquarters in 1782 and 1783 and became the nation&apos;s first publicly owned historic site. Visitors can tour the fieldstone farmhouse and museum building overlooking the Hudson River and learn about all the seminal events that took place there that helped shape the American republic. 2 pm: Choose from more than 50 types of burgers along with an impressive selection of wings, nachos, and chili at the Wherehouse, located in a lovingly restored building from the 1860s. 3 pm: Take a self-guided tour of Montgomery and Grand Streets, where you’ll pass many houses that have their own hundred-plus year histories and architectural significance. Highlights include: Calvert Vaux&apos;s Warren House at 196 Montgomery Street; the Montgomery Street Station, one of Thomas Edison&apos;s first power plants (Did you know that Edison lived on Montgomery Street for a time, and as a result, Newburgh became America&apos;s first electrified city? ); and The Dutch Reformed Church on Grand Street, designed by Alexander Jackson Davis in 1835. 4 pm: Swing by the Ann Street Gallery, a contemporary gallery specializing in emerging and established artists. The gallery hosts five exhibitions per year, each open and free to the public. 6 pm: For more motorcycle fun, visit the showroom gallery and store at Orange County Choppers (featured in CMT’s reality series of the same name) then hit the OCC Café for dinner and your evening entertainment. The café includes an upscale bar and restaurant, a concert stage featuring live music and a DJ most weekend nights, and a 4-lane bowling alley! 10 am: Grab a light bite for breakfast at 2 Alices Coffee Lounge. For something heartier, hit a classic diner, such as The Alexis Diner or The Neptune Diner. 12 pm: Before heading out of town, stop by the Newburgh outpost of the Karpeles Manuscript Library Museum, which features changing exhibits of original manuscripts and documents on literature, science, religion, history, and art from the world&apos;s largest private collection. The standing exhibit is the Dona McPhillips "Historical" Painting Series Archives. Admission is free. Metro-North Railroad Hudson Line from Grand Central Terminal in New York City to Beacon, which is just across the river. NBBC operates buses on local routes and between Newburgh and Beacon. For train travel from north of Poughkeepsie, take an Amtrak train to Poughkeepsie and transfer to a Metro-North train to Beacon (second stop), which is just across the river from Newburgh.